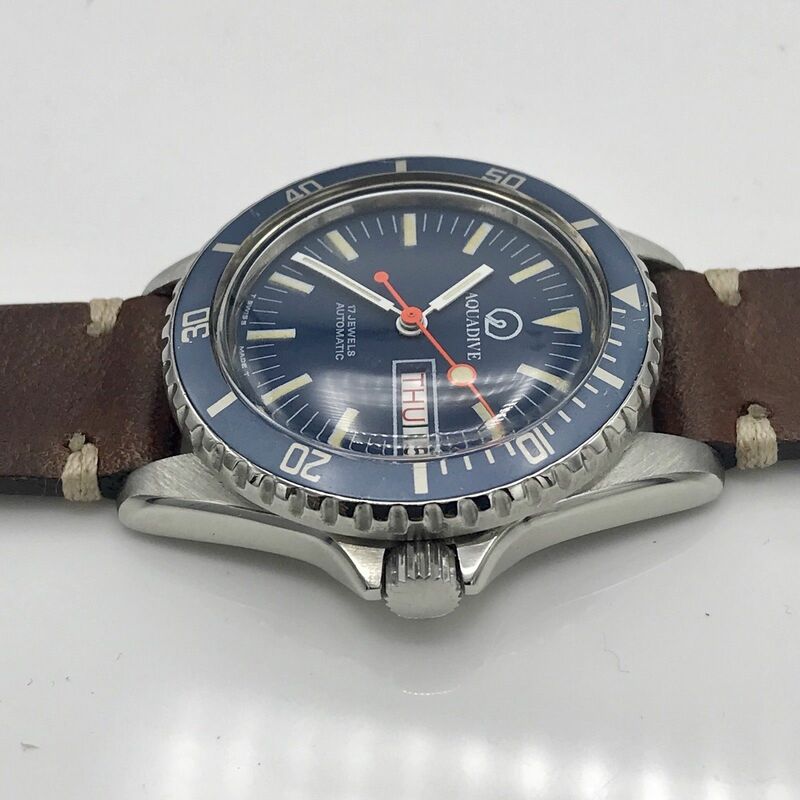 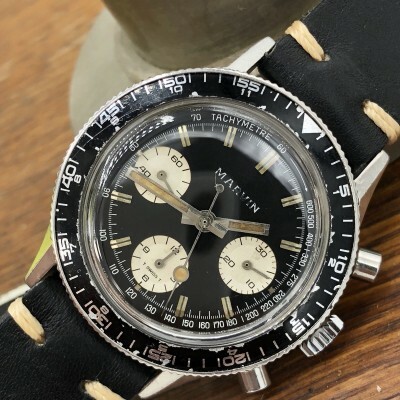 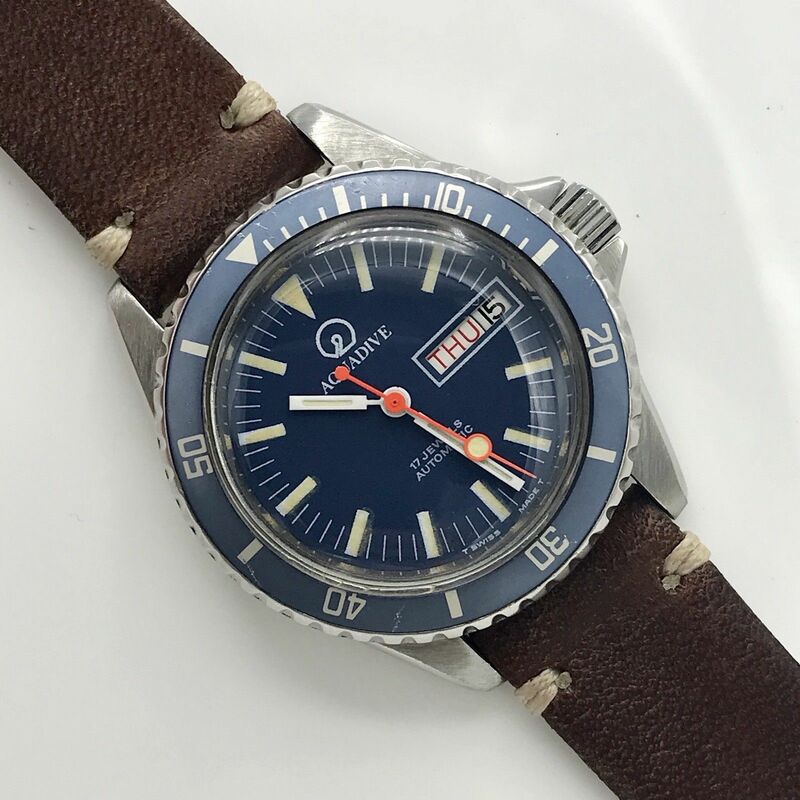 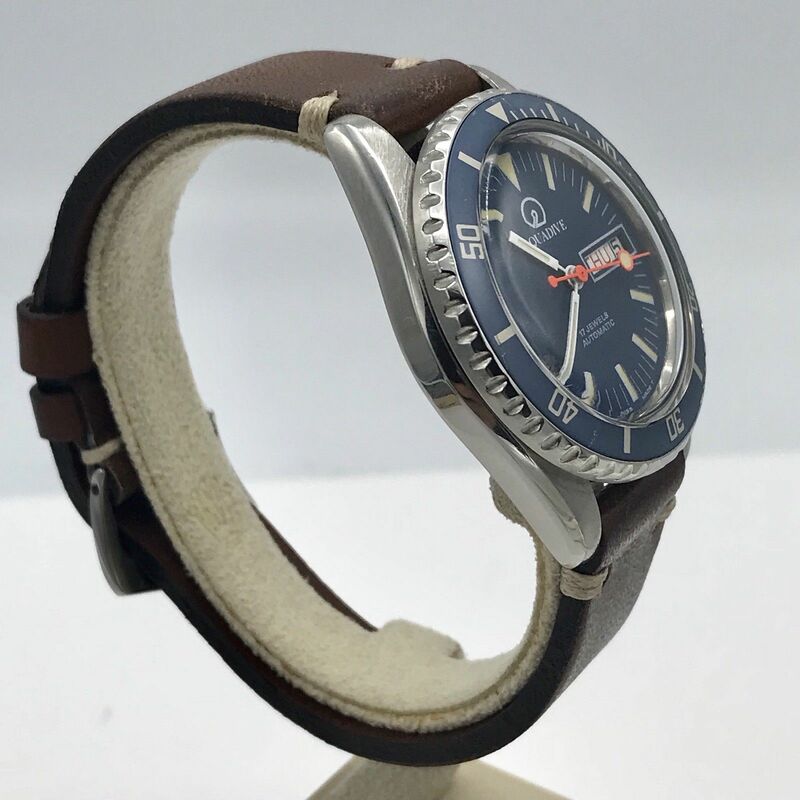 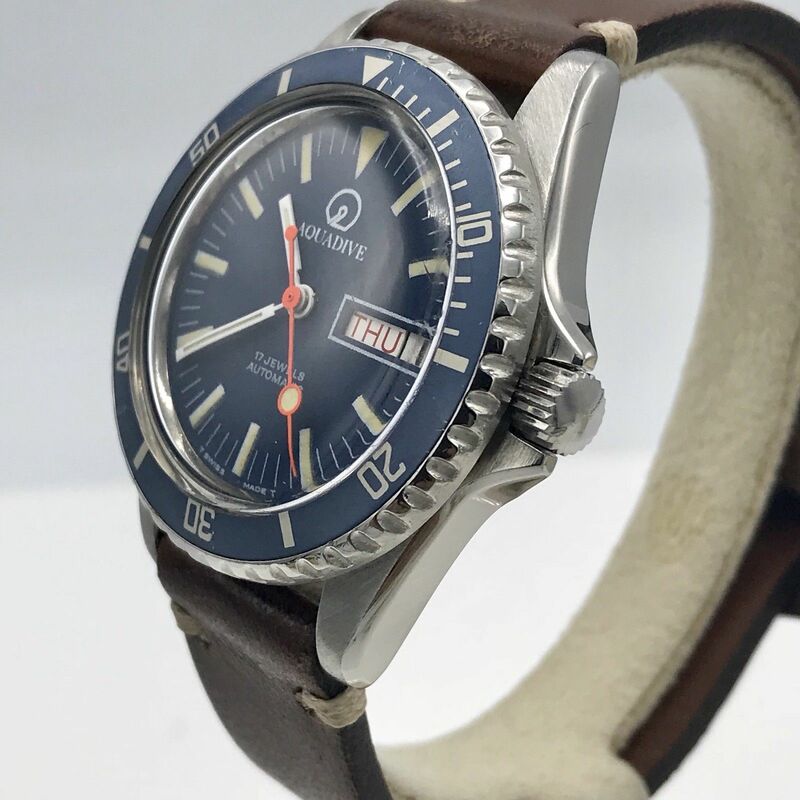 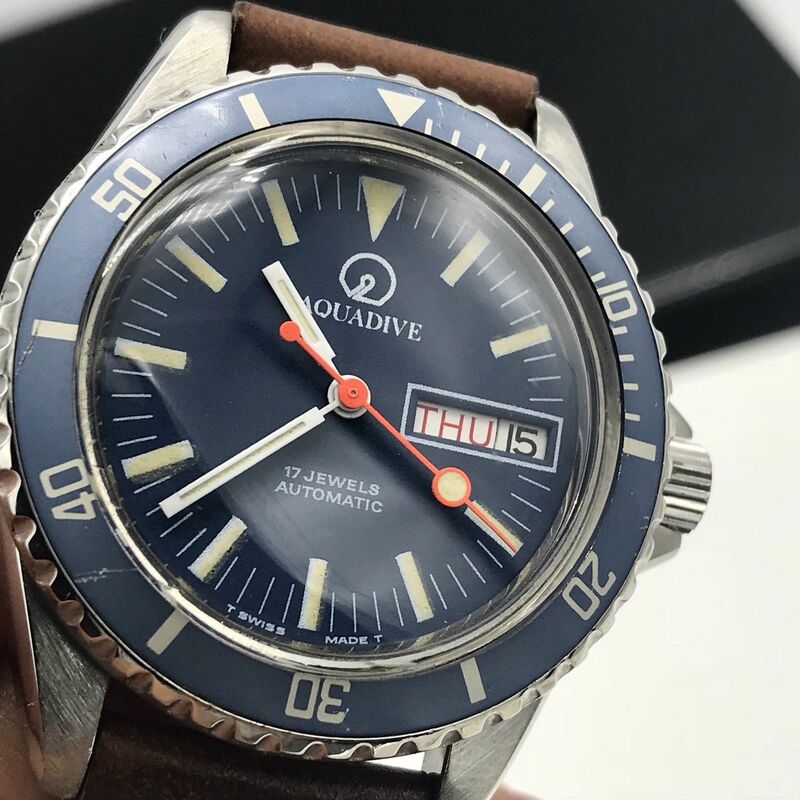 About the watch: This vintage 1970’s Aquadive is rarely seen in this particular configuration, especially in this condition. 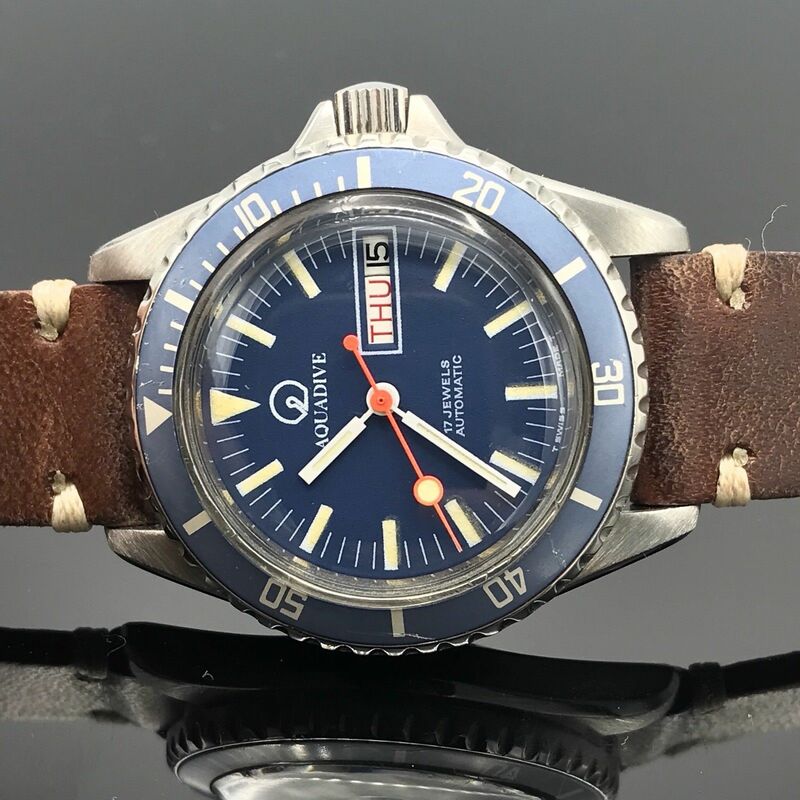 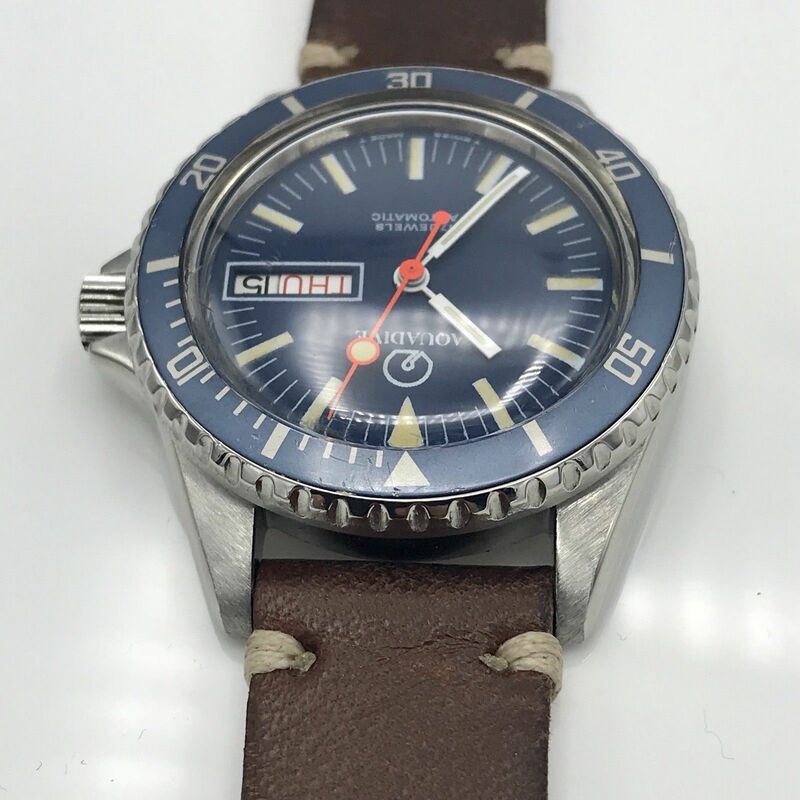 Pointed Crown guard The matte blue “T SWISS MADE T” signed dial is in pristine condition, free of any visible scratching, tool marks, chipping or defects. 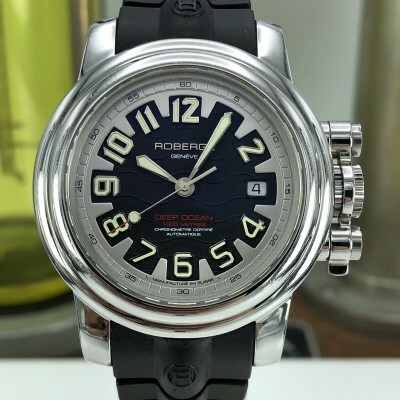 The original lume on the dial and hands, which emits a quick-burst glow on the hands only before dissipating after being exposed to bright light, has aged gracefully to a perfectly matching golden buttermilk hue. 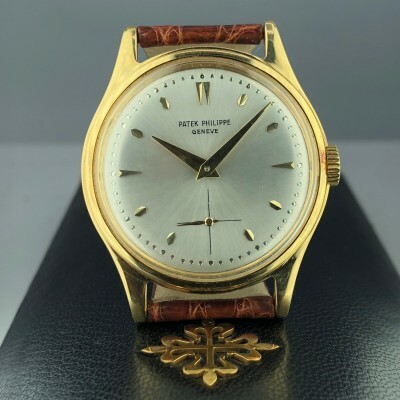 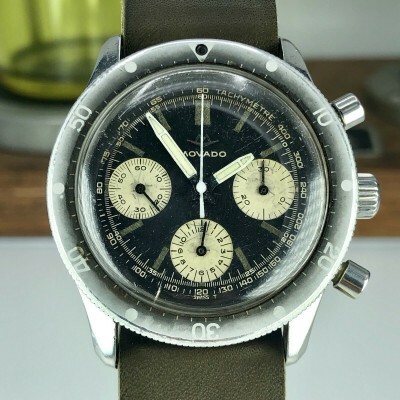 Please note that while the dial is in mint condition the original dial lume markers were laid sloppily, a common quality control issue with smaller horological houses. 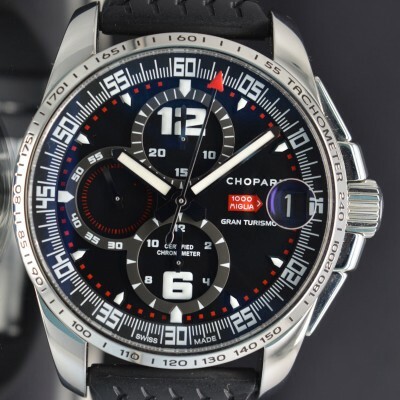 The vibrant orange seconds hand gives this watch a lively, wonderful energy. 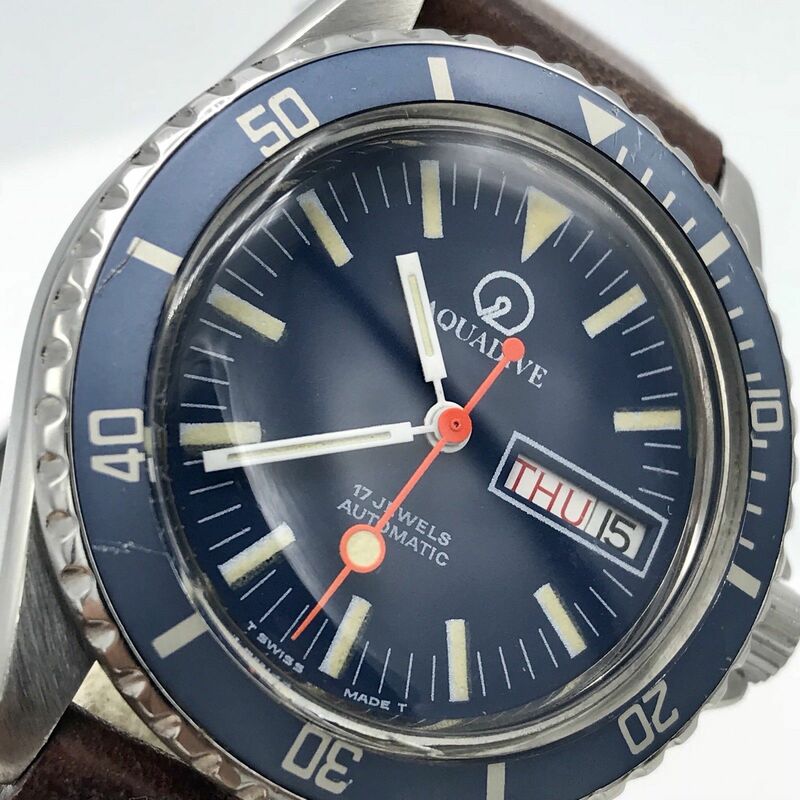 The slightly faded blue bezel, which rotates unidirectionally counterclockwise, complements the dial nicely. 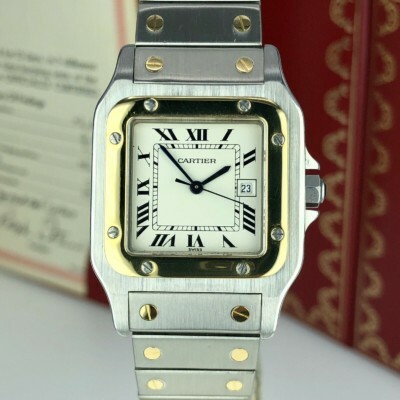 The heavy duty all stainless steel case is cut beautifully with razor sharp chamfers and shows minor wear. 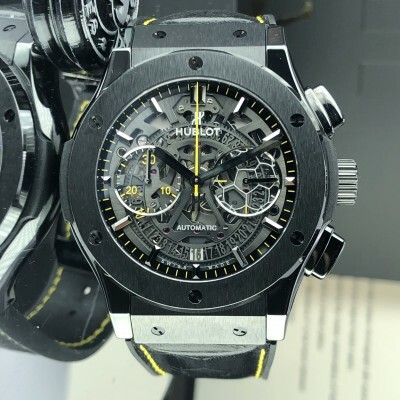 It is free of any visibly significant dents or dings. 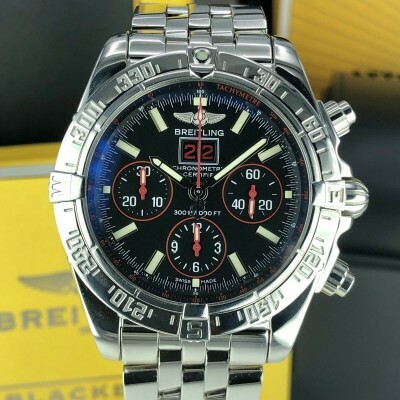 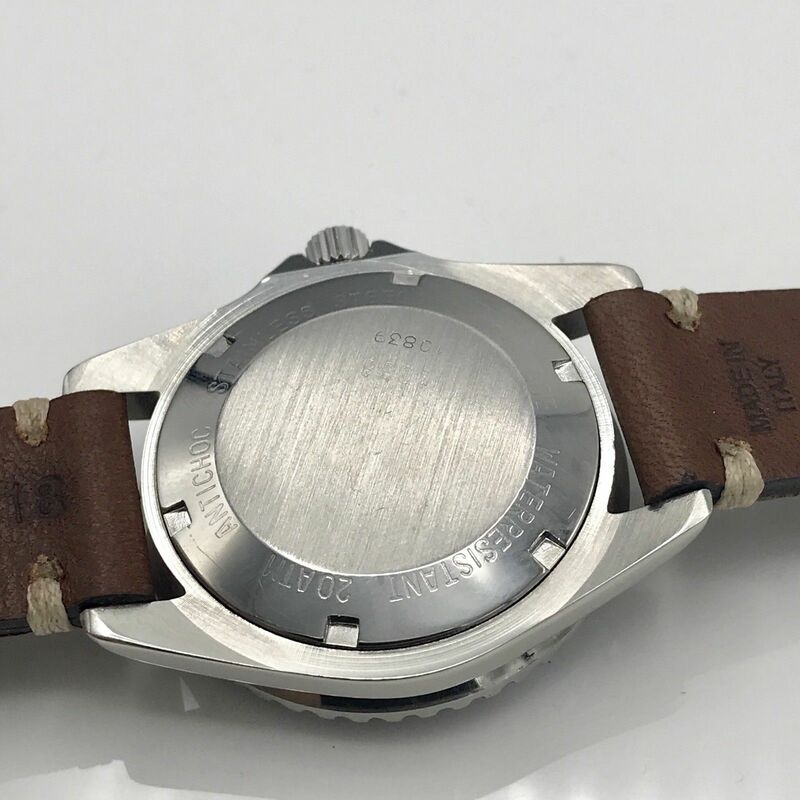 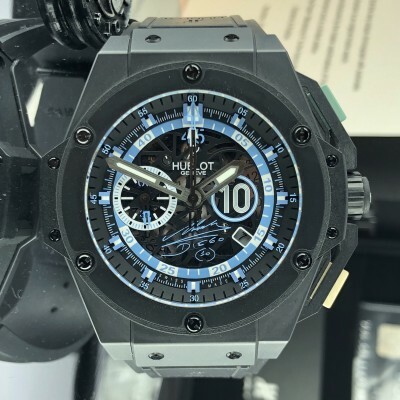 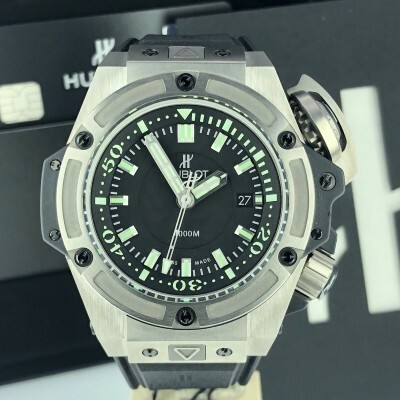 The outer edge of the case back is stamped “WATERRESISTANT 20ATM ANTICHOC STAINLESS STEEL SWISS MADE” with “1038” followed by “10839” stamped in the center. 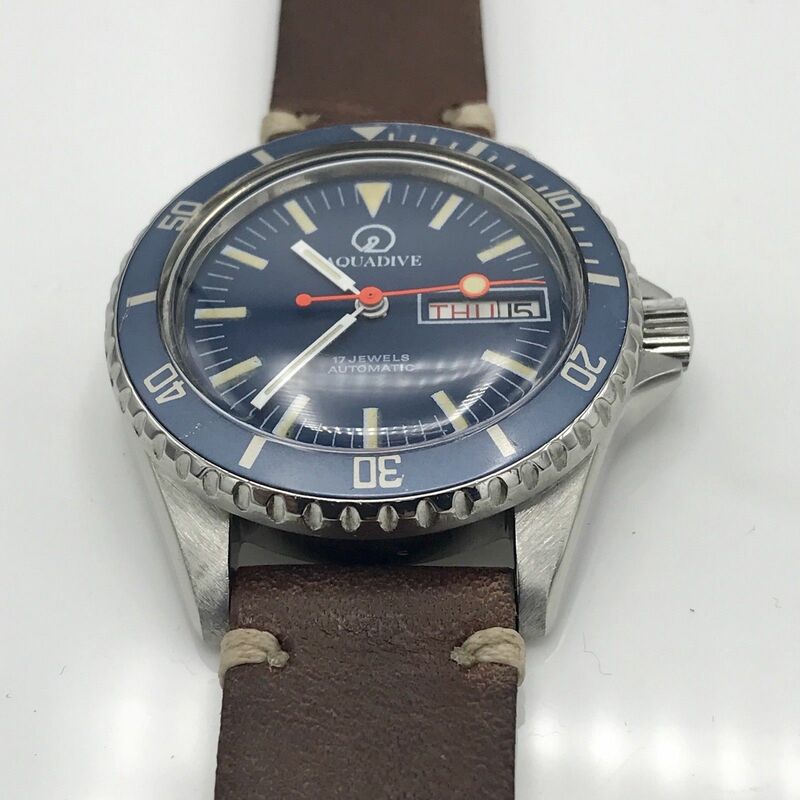 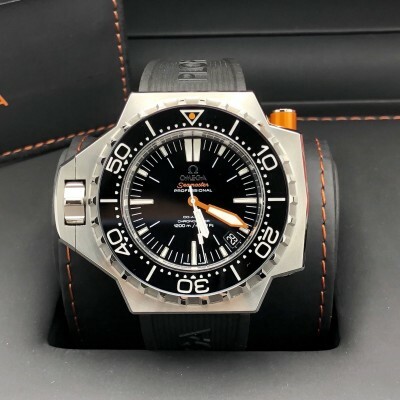 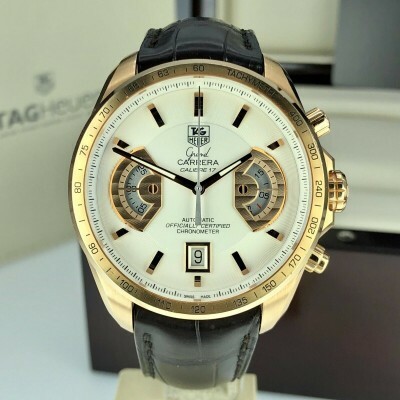 A great Diver with a strong running movement and great style now available with reasonable price. 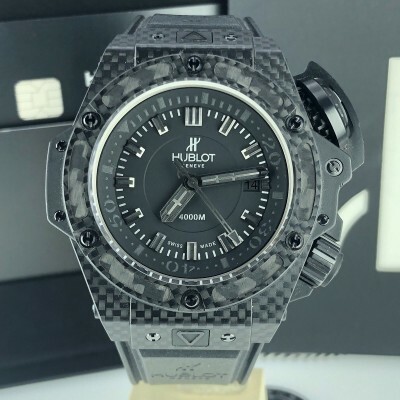 great add to your collection. 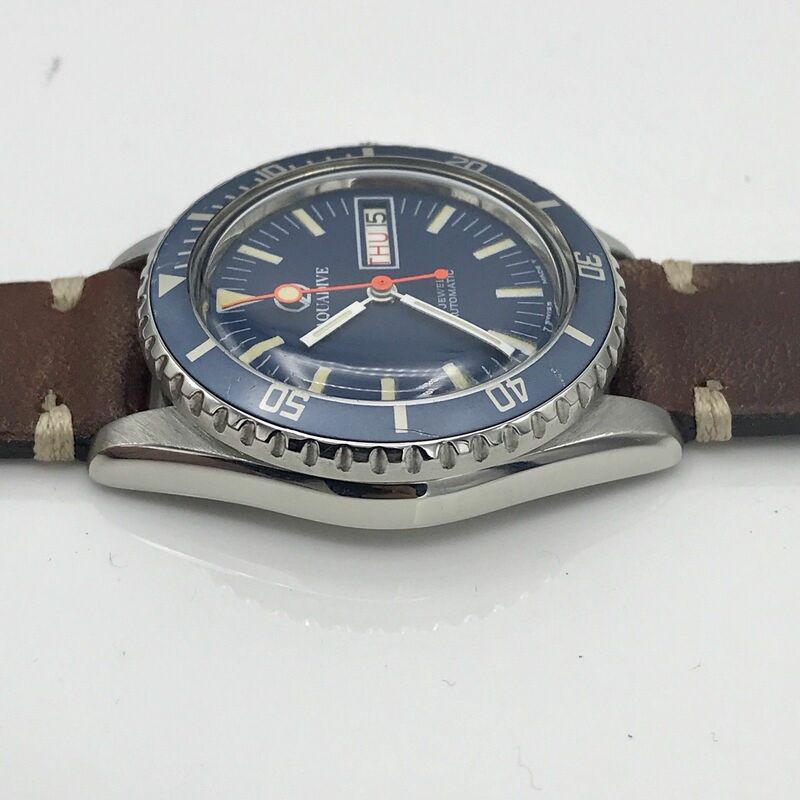 Case and band: Great condition. 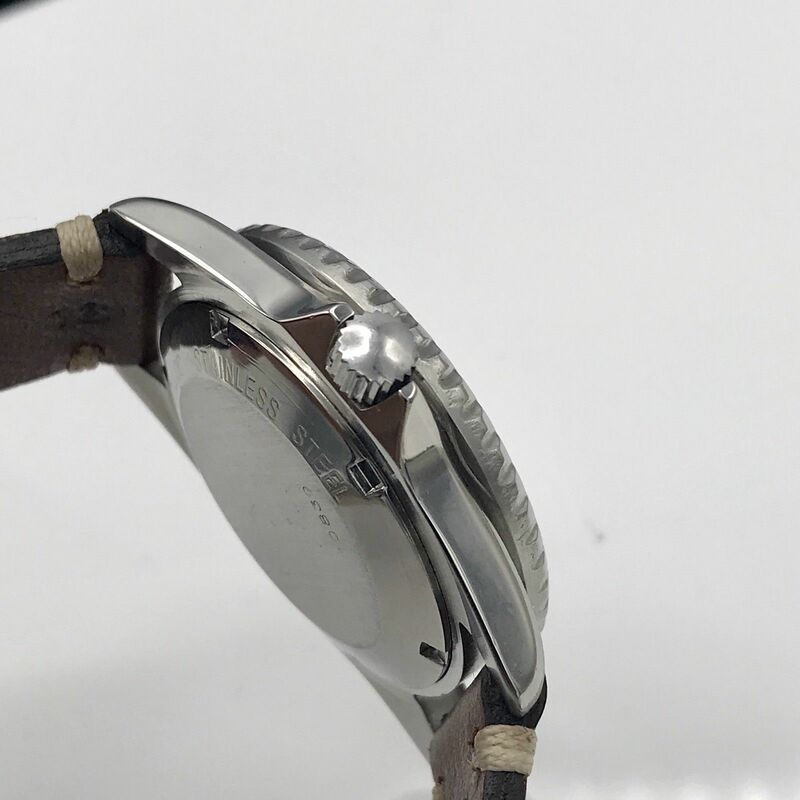 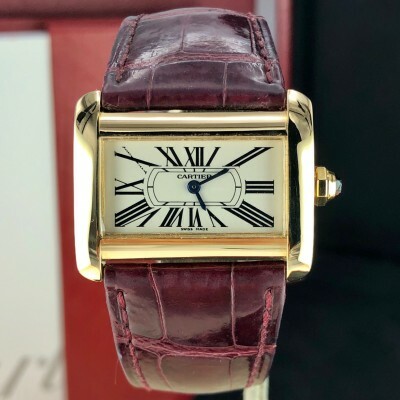 Case Diameter: 38mm (crown excluded), Replacement Italian leather New band.